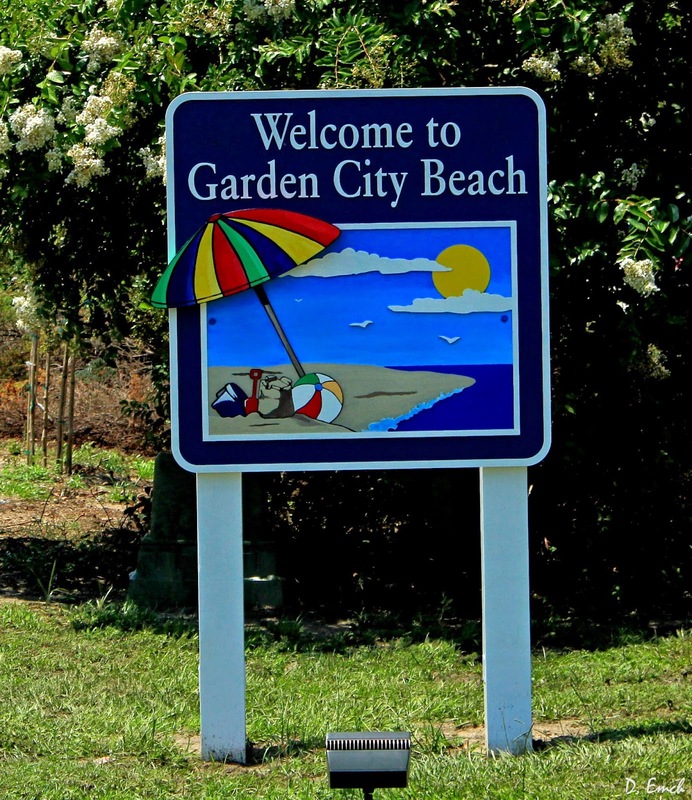 Welcome to Garden City Beach. 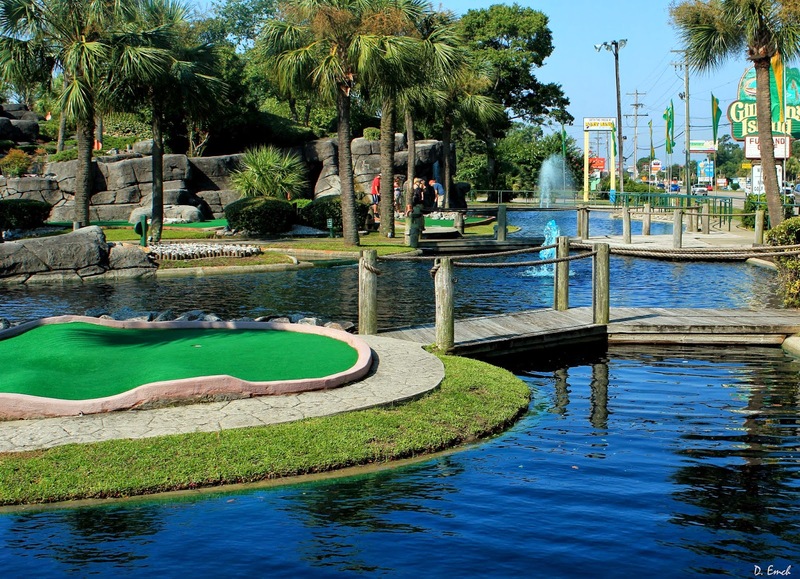 Constituting the southern end of what will be about sixty miles of beaches ahead of us, these two towns are the first communities north of Murrell's Inlet. And there is but one industry here. Tourism. And we are at peak season. 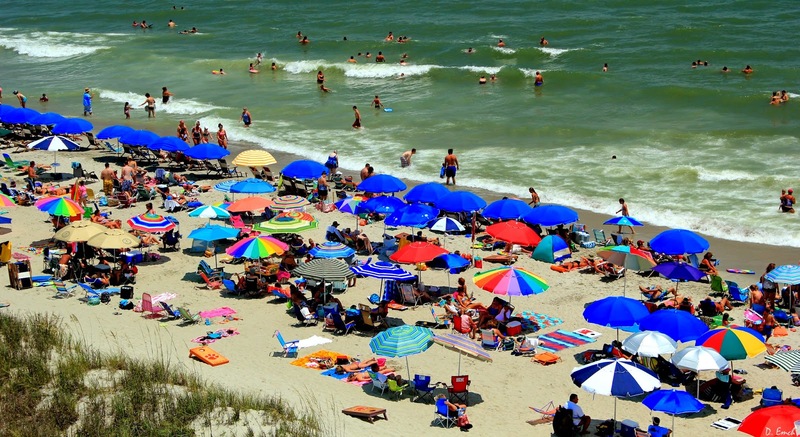 Today was Friday - a weekday - and here is what the beach looked like - for MILES !! 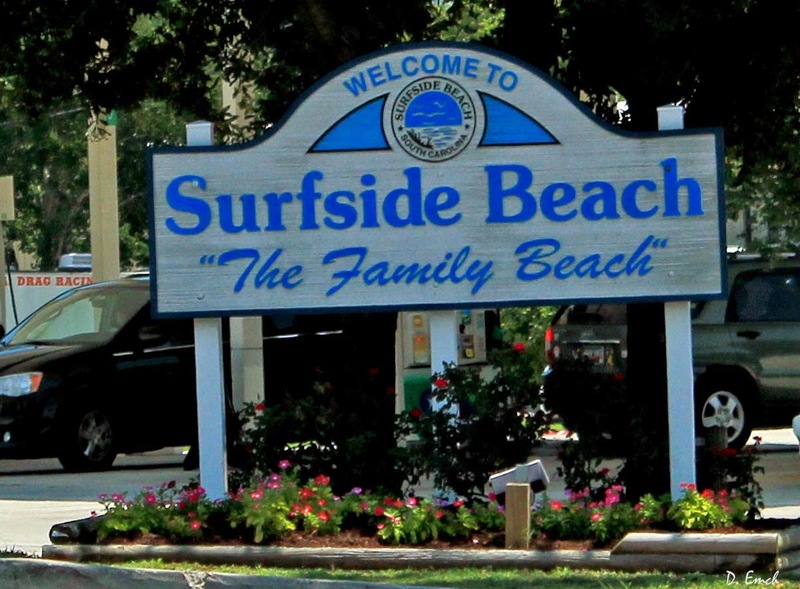 Surfside had a population of 4,027 in 2012. Garden City was 9,209. Now, between these two towns there is about 7 miles of beach - and it is all this densely packed. Just the people on the beach have to add up to 50,000 plus. And the manager at one of the hotels told me that tomorrow, Saturday, they expect to be busy. I can't envision what that looks like. 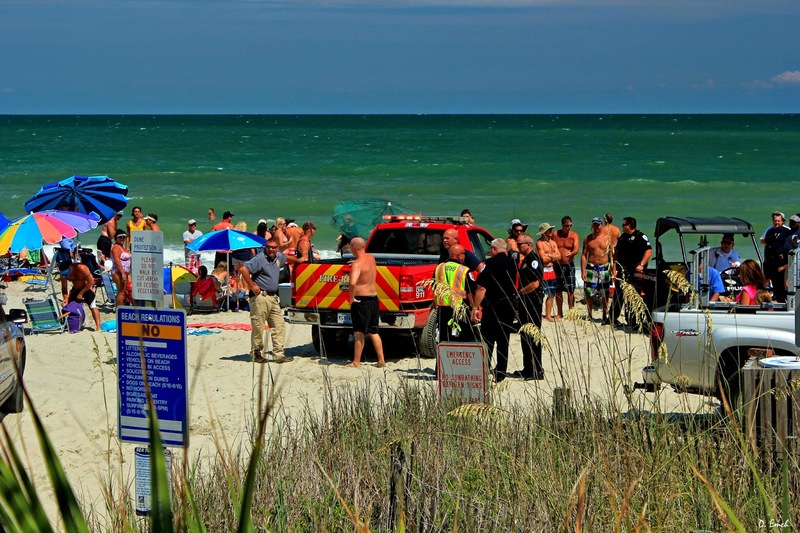 On the stretch of beach I was on, a call went out to emergency workers that a body had been spotted floating in the water. 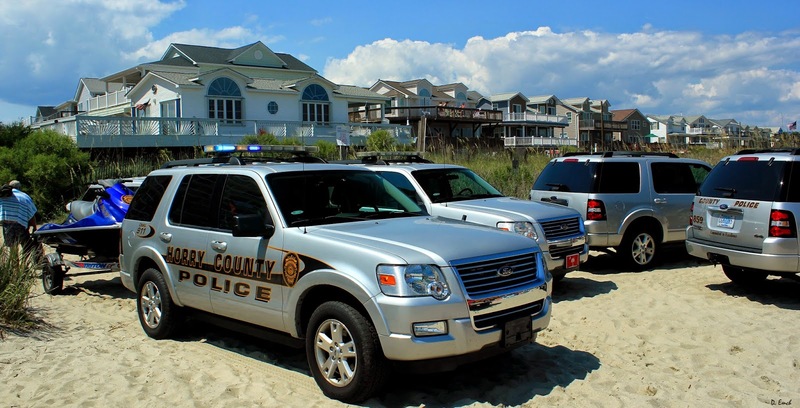 With all of the vacationers, there are only a few spots the emergency vehicles can approach the beach. As for driving down the beach - forget about it. They backed up a trailer with jet skis and offloaded them. 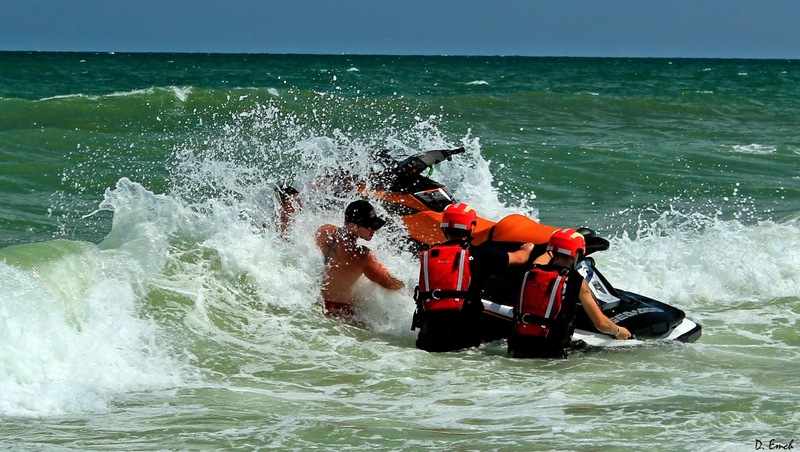 Two riders per jet ski, and it takes four to wrestle them out through the waves. They patrolled up and down the beach for about half an hour before they spotted a large sea turtle cruising along. I am reminded of an old Gary Larson "Far Side" cartoon. It showed a fish yanking on a fishing line just above the hook, then slyly saying to another nearby fish: "That'll keep him here another two hours !!" Even getting a four wheeler up the beach is a challenge. This fellow vigorously tweeted on his pink whistle but still only managed a few feet at a time. 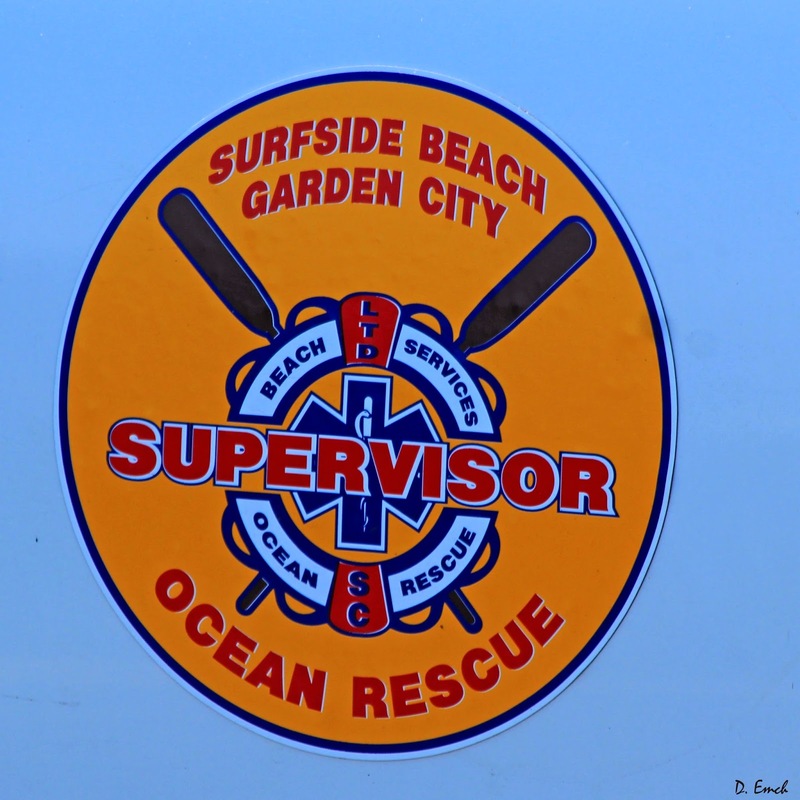 There are lifeguards that walk the beach - my understanding on a day like today there are twenty some. 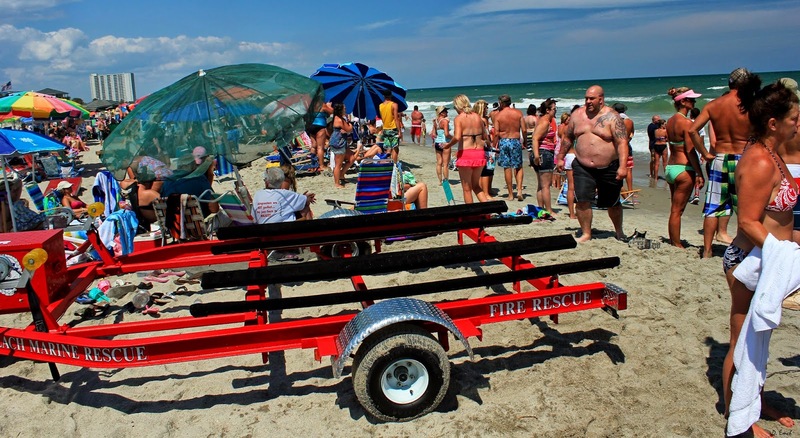 Ocean Rescue is a local business that is responsible for supplying them to both cities. 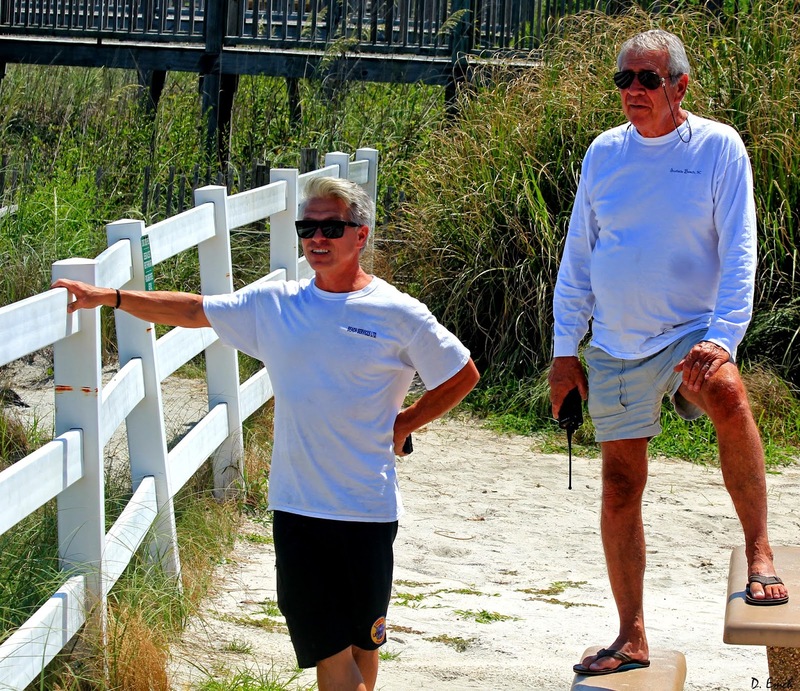 Bill and Garrett are the owners of Ocean Rescue, They were on the scene early, looking out over the crowds with a good bit of concern. 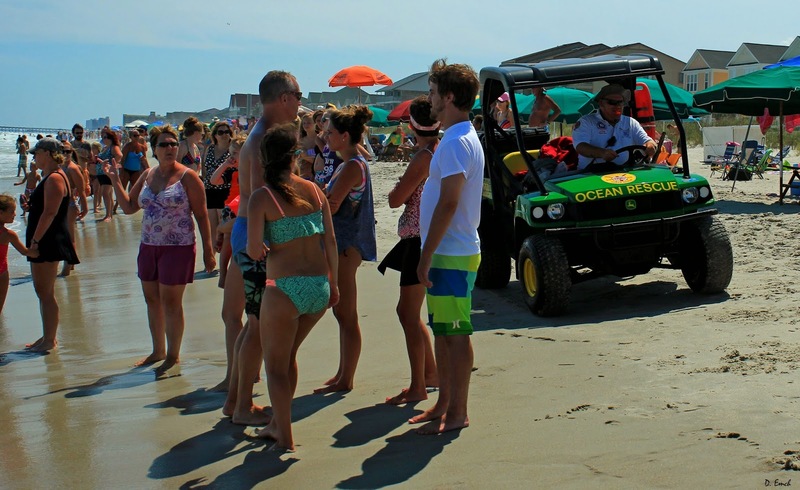 When the word came back that fifteen squad cars, an ambulance and fire department staff were all dispatched for a turtle sighting there were some relieved laughs. 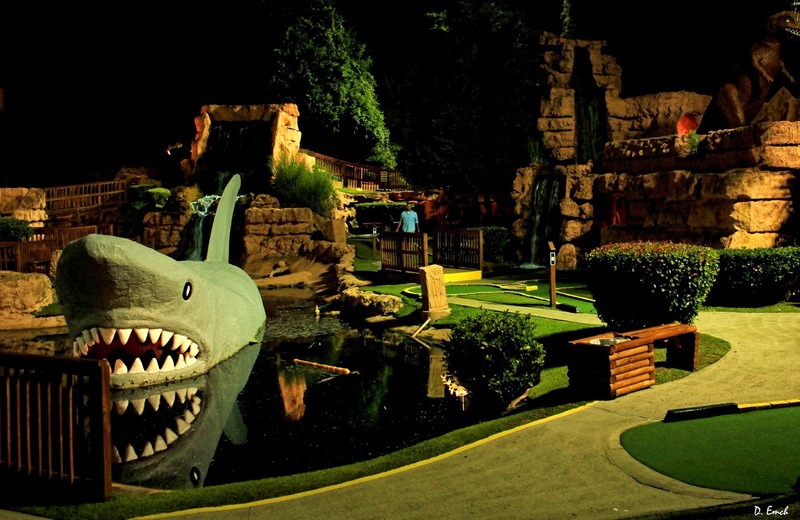 One of the big businesses in these two towns are the putt-putt courses. They are numerous, and each has their own schtick. This one has an amphibious plan named "Jamaica me Crazy !!" Another went for the large scary animal routine. 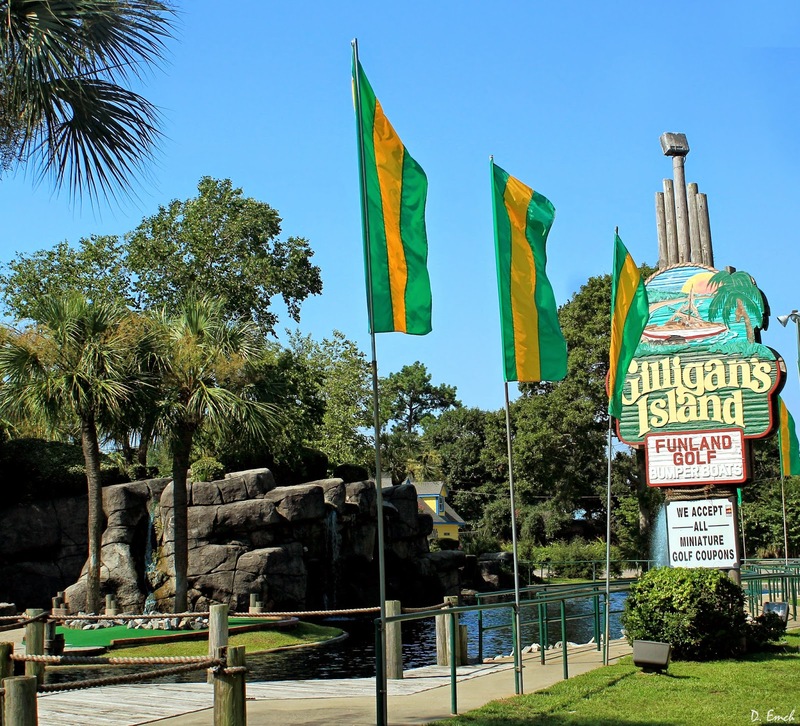 But of all the ones I visited, Gilligan's Island seemed to have the best design, the best grounds-keeping and the steadiest stream of visitors. 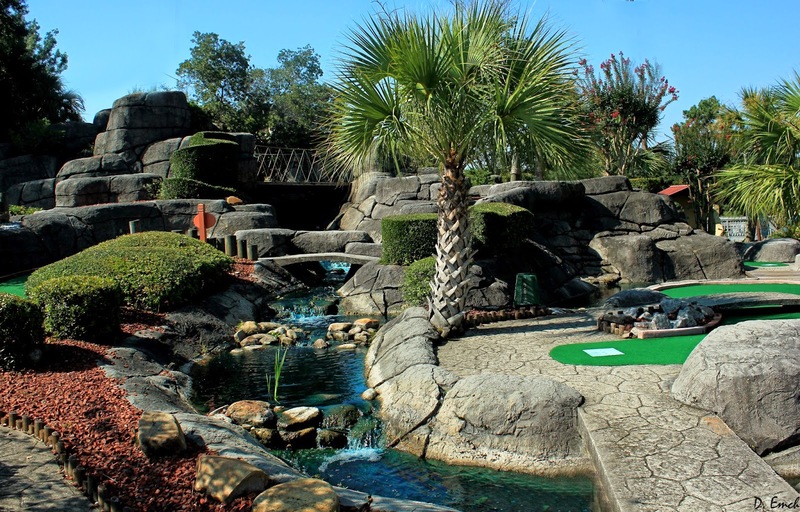 There are two 18 hole courses here, and a number of large waterfalls are interspersed. That's a lotta concrete to build that hill, and a lotta water to fill all those ponds and streams. I met Jack Teram who maintains the facility. 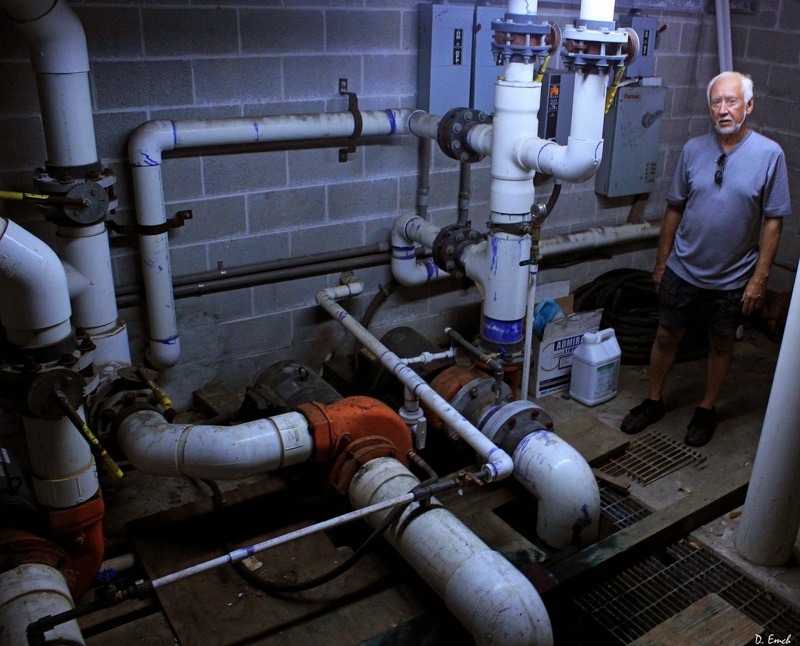 Here he is pictured in the pump room where three large motors run pumps that move all that water. Jack is a neat guy. He flew Vulcan Bomber Jets for the Royal Air Force in England for 12 years. At about 40 years of age, he decided he needed a change and came to the US to start anew. 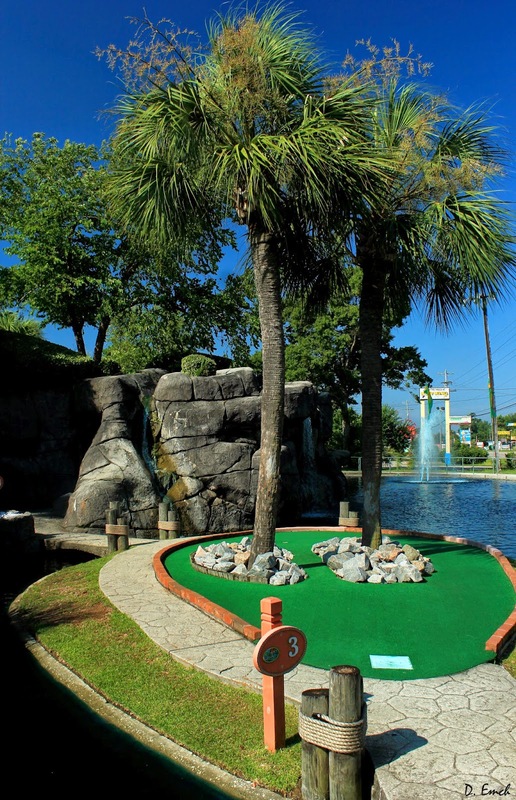 After recently retiring from Boeing in Charleston, he took this job to keep himself busy. 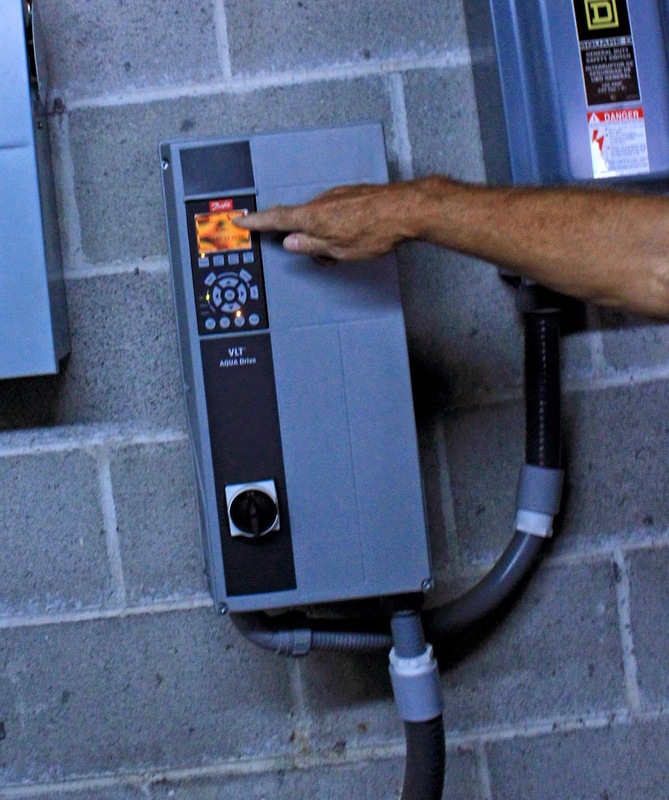 Here he shows the computerized control system that allows the pumps to be controlled remotely. 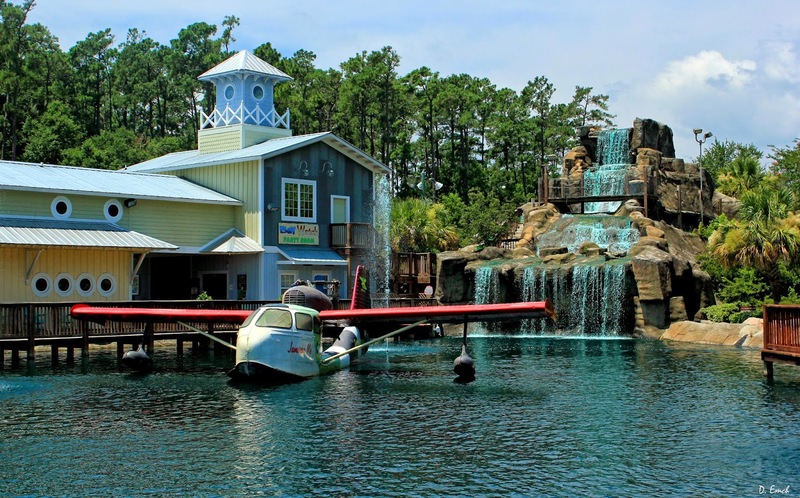 I know we saw one of these beach stores the other day in Pawley's Island, but these two are worth a look. 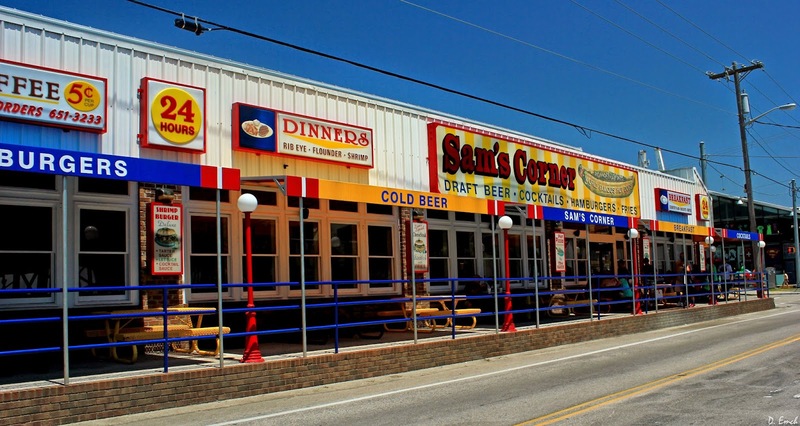 They sit directly across the street from each other. They both have big signs that say "nothing over $5.00," which turns out to be patently untrue. I guess there must be some small print I didn't see somewhere. More than one local commented that there is no way that selling cheap swimming suits could support big businesses like these. 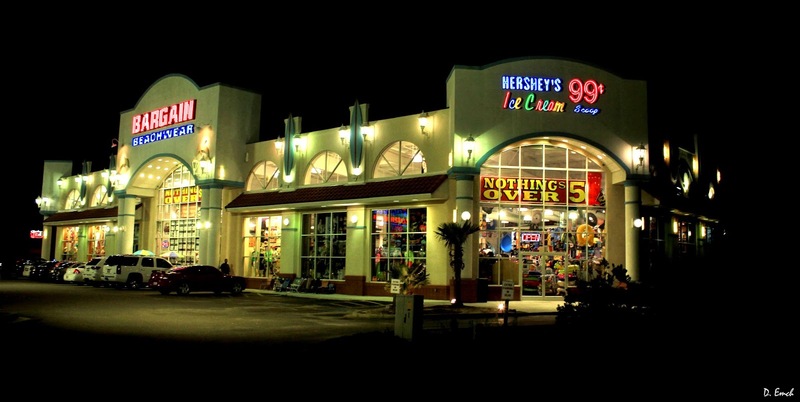 They must be doing something right - there are a bunch of these beach stores. 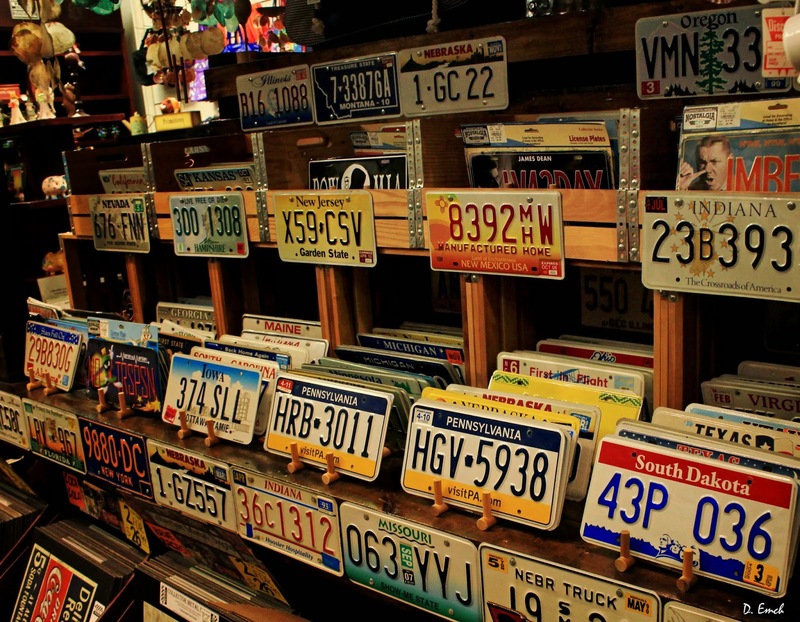 I found it interesting that a bunch of used license plates were for sale. There were hundreds - mostly from northern states. I wonder if the license bureau collects - or maybe local car dealerships. Anyway, there were a bunch of them. And today's parting shot is well under the quality of shot I try to post - but it bears seeing. This osprey was flying by out of range of my camera, but it looked like it was flying funny so I shot a photo anyway. Now, look at the size of that fish. Imagine that bird, with a wing-span of six feet hitting the water, going under, sinking its talons into a fish this size, struggling back to the surface and then getting airborne. All while the fish is flopping and struggling for dear life. Quite remarkable. Have an awesome Saturday !! If you can contribute a few dollars to help with this venture please click Here. If you have no idea what this is about, Click Here and Here. Click Here to email me, and if you want to read today's meditation just click Here. Thanks for your interest and support ! !